Magic week for the Chinese national holiday in the famous Happy Valley amusement park of Shenzhen. From end of September to early October 2009, we are once more back in China. Each year, for the National Chinese Holiday, many festivities are organized all over the country. So, the Happy Valley Parks (in 2009, they are already 4 parks under this name in China) organize International Magic Festivals, including one at the Shenzhen’s Happy Valley Park. 30 years ago, Shenzhen was a fishermen’s village, just “behind” Hong Kong, the huge financial and commercial crossroads. Nowadays, Shenzhen is a “special economic area”, a metropolis of 10 millions inhabitants with huge industrial and commercial development and an incredible harbor. In addition to this, they are, among other activities, 4 amusement parks. Happy Valley is the biggest one. In 2009, the 60th anniversary of the People’s Republic of China is celebrated. 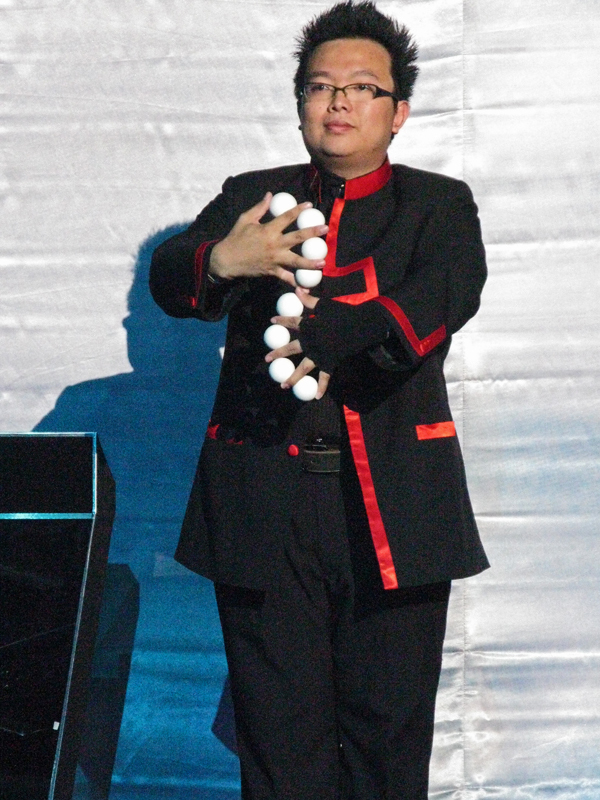 It is also the 10th International Magic Festival of the Happy Valley Park and the 1st Magic Competition. The Park wants to see this competition becoming internationally important. It is already under the FISM’s aegis (the FISM being the international organization of the world’s magic associations) and Eric ESWIN, its president, is actually present. 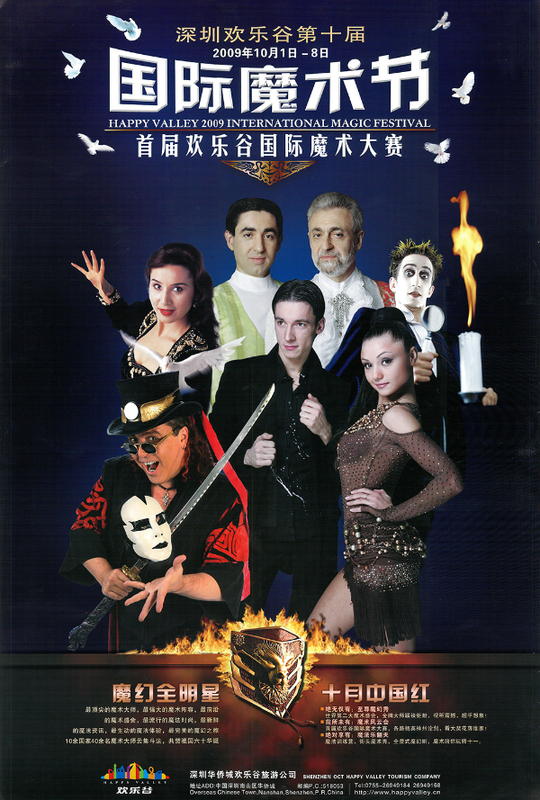 The show presented in the biggest theater of the Park is excellent: Jorgos KATSAROS (Germany), Jeff McBRIDE (U.S.A.), Omar PASHA (France), RUXIAN (China), SERGUEY & OKSANA (Russia), with Richard MO (Hong Kong) as host. The magicians taking part to the Festival are jury’s members. The young Chinese lady LIU BEI (mainly cards manipulation) win the first prize. ANDREAS AXMAN (Germany) – an act with video – and JEREMY PEI (Singapore) – rings, canes, etc – share the second price. Third place goes to JO YONG HO (South Korea) – parasols -, LI XINGQI (Hong Kong) – doves – and ZULI & AIHEMAI (China) – manipulation, illusions and costumes’ changes -. All the award winners have real true skills in various fields. We have also seen 2 interesting shows. The show permanently shown at the main theater at Happy Valley Park is a nice “extravaganza” with about 100 artists and very different scenes, like modeling, Beijing Opera, etc. 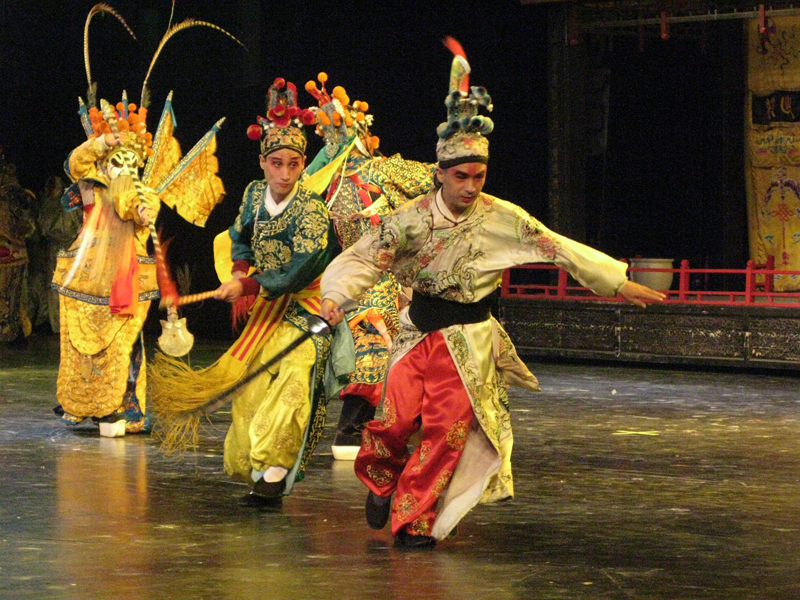 There is an important stage machinery, costumes’ galore, dancers, acrobats, various acts, etc. 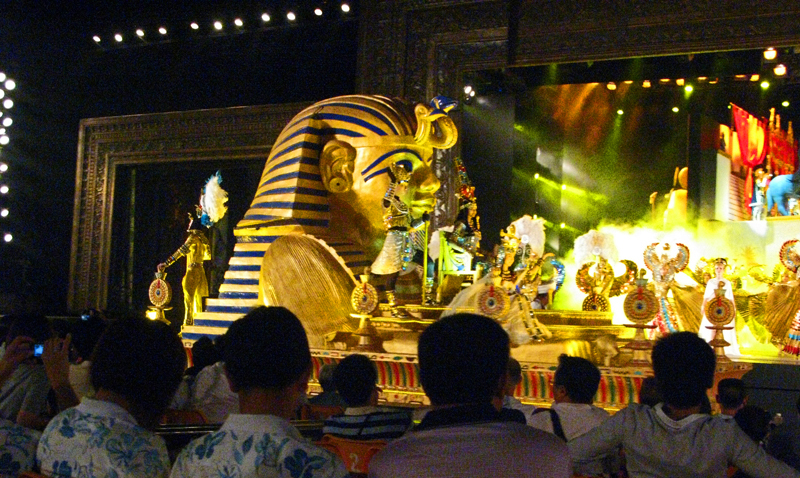 At the neighboring park “Window of the World”, a brand new show wants clearly to compete with the greatest extravaganzas in the world, in a huge open air theater: all possible technical means, huge stage settings, a large turning stage, top lightings and sound, about 200 artists, Egyptian chariots parade, long and high podium appearing suddenly with tenth of dancers in the middle of the audience whose seats just have moved to the side, etc. They are real storyboards for each scene: Egyptian scene, Cinderella (ballet on rollerblades with sumptuous costumes), Esmeralda (the Notre-Dame cathedral from Paris, Quasimodo, nuns’ ballet, “Cour des Miracles” and many more), and the Second World War in Russia (very “Soviet” style ballet) and in England (London under the bombardments). In short, an amazing and explosive show.